The TV that you choose for gaming is one of the most important choices you'll make as a gamer. The PS4 looks incredible, but only when it's allowed to run free across the pixels of a top-notch HD television set. It's an investment, yes, but one that should not be taken lightly especially now with the PS4 Pro and it's 4K gaming capabilities. Going out and buying the first thing you see, or the cheapest option, isn't the best idea. So, today we'll take a look at five of the best TVs for gaming and show you a range of prices and models to choose from. I'm also going to make sure you know where gaming is heading, and how or if you should future-proof your television of choice. Sony recommends 60-inches and up for average sized living rooms. True 4K resolution. This is 3840 x 2160. Compatibile with HDR10 (and nothing lower). There's also Dolby HDR, but this is not supported by PS4 or PS4 Pro. Make sure it's 10-bit HDR and not 8-bit. One is 16 million colors, and the other is a whopping 1 billion! Low input lag. Anything below 40ms is good, you get higher lag with HDR and 4K, so don't worry when you see higher numbers. 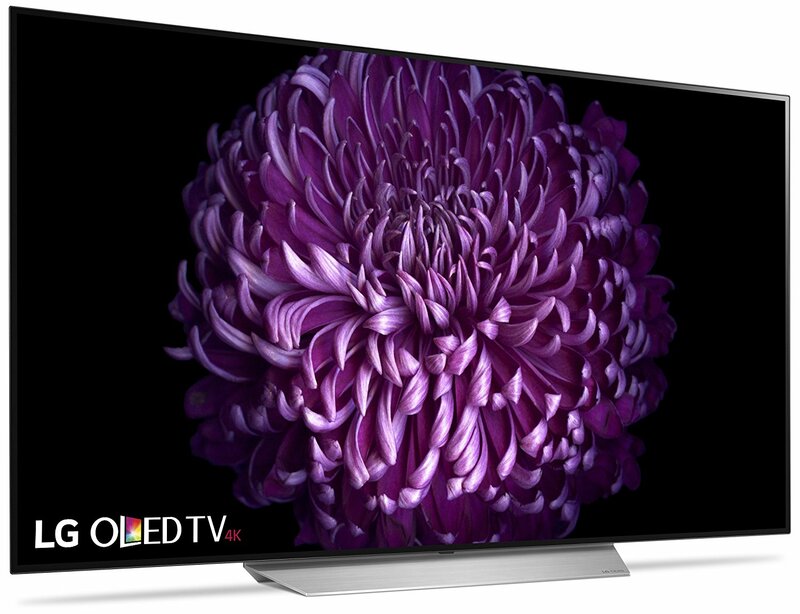 Sony has several different lines of 4K televisions, and while other models like the X930E and X940E are great, they also tend to cost several hundred dollars more than this one. The X900E comes in sizes ranging from 49 to 75 inches. This option offers the peak brightness you're looking for and the HDR10 you need to maximum image quality. The only downside is the included sound is pretty rough. You should spring for a sound system or soundbar with this purchase. If you have the cash to spare, and you want the highest option possible, then you need to go with an OLED screen like this LG option. Unlike LCD, this type of screen actual emits light from the pixels instead of using a backlight. The result? Incredible image quality, brightness levels, and no motion blur whatsoever. In addition, the viewing angles are all great no matter where you're sitting in the living room. There's support here for both HDR10 and Dolby Vision, so you can have the best of both worlds. The only downside here is the price, and it's a big one. 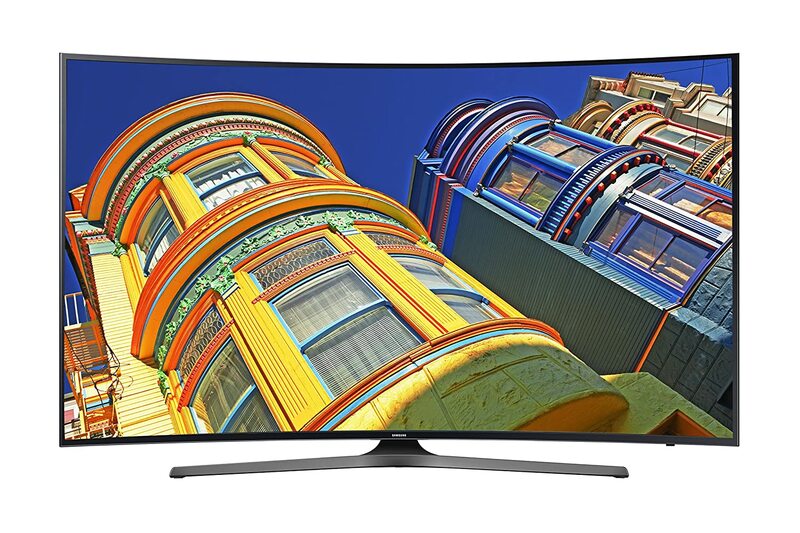 You'll be spending over $2K easily on this TV. Samsung brings a strong argument to this sub $1500 4K set. 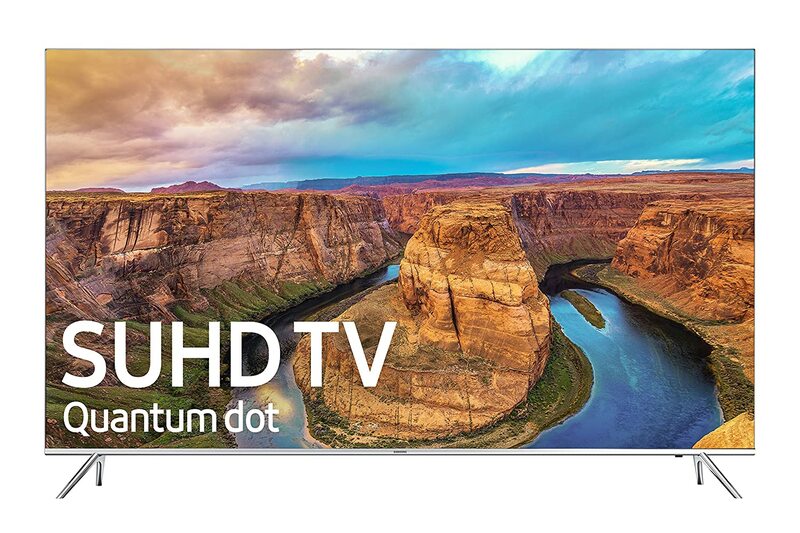 Here we have a full 4K resolution with Quantum Dot Color Drive which has over a billion extra colors compared to standard HD. The Triple Black Technology provides deep black levels, and the HDR 1000 tech gives you the color range you're looking for in a television like this. Finally, the Smart TV features are all here with a universal remote that controls all your apps. Our third option brings curved TVs into our list. For some people, a curved television is what they prefer, but others can't stand the concept. Depending on your viewing distance, it can certainly changed the immersive nature of the experience, so it's something I always recommend you check out in person before making a decision. This affordable option comes in several sizing options, but it features everything you would want from your 4K display, including a high refresh rate of 120Hz, and support for HDR. If you usually play games with other people, the curved design could provide a more consistent viewing experience for everyone in the room, so it's important to take that into account as well. Not to mention, it's just plain cool looking. 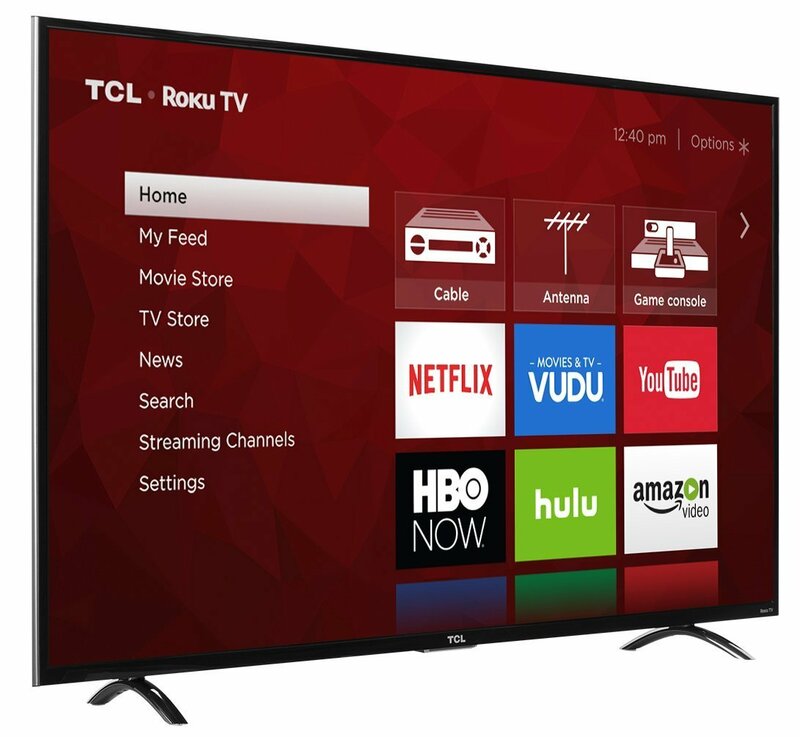 If you want a nice screen size, but you don't want to break the bank, this 55-inch 4K TV will only set you back $650! You'll lose out on some of the brightness levels, and the sound will need an external solution, but it has HDR support and 4K resolution for an amazing price. Don't go for the cheaper option at $400, if only because the peak brightness on that model is so low that you won't enjoy the benefits of HDR. A Word Concerning 4K...And 8K? The PS4 Pro is here, and it supports both 4K and HDR gaming. While it's not native 4K in every case, the resolution is much higher than 1080p. Not every game is compatible, but over 50 titles have been added, and the list continues to grow. The standard PS4 also supports HDR through a firmware update. Now is the time to upgrade to 4K if you've been waiting for the consoles to catch up. But wait, what about 8K? Yep, it's real, and Sony has plans to start selling TVs with 8K. The new tech won't come cheap though as it started out at $130,000 for an 85-inch display. Apparently, the resolution is so high that you can stand right up to the screen and not see the pixels. HDR stands for High Dynamic Range. It's a new technology in 4K televisions that increases the range of levels between the brightest and darkest areas of your TV. 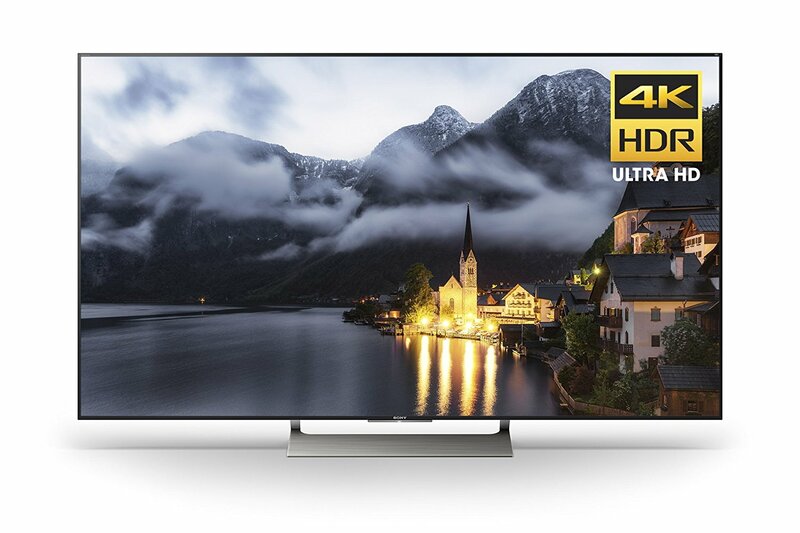 While 4K does make a difference, it's HDR that will truly provide that "wow" factor you're looking for. In today's industry, there are two HDR options: HDR10 and Dolby Vision. Gamers only need to focus on HDR10 as it is currently supported by PS4 and PS4 Pro. Dolby Vision is not only more expensive, but it's only useful if you have a separate 4K Blu-Ray player or a streaming box that uses Dolby Vision support. It does not offer HDR gaming. It's also important to look for a TV with a high peak brightness. If the maximum brightness isn't very high, you won't get those contrasts that make HDR such a great feature for improving image quality. Purchasing a TV is no small decision, and with new technology constantly emerging, many would want to ensure they have a future-proof model. 4K is going to be the new standard eventually, but the PS4 won't support it. Perhaps the PS5 will, but we'll just have to wait and see. Don't forget to also look into warranty options if you're buying one of the higher-end models. Don't want something to happen and you be out of luck. Many retailers will offer such extended warranties, so be sure to browse your options. Which TV do you own? Do you recommend it? What do you think of our list? Do you own any of these gaming TVs? 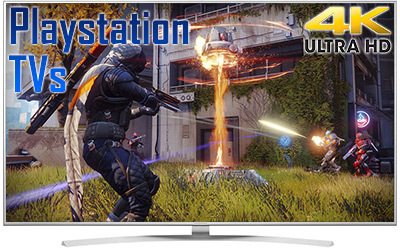 Which TVs for PS4 are the best in your opinion? Share your thoughts with us in the comments below! all of the sudden i found myself with a brand new PSVR, what's the next logical step? upgrade my 3 years old setup... XBR65X850D, PS4 Pro, Xbox One S is in and i couldn't be happier, my old setup (KDL-60W630B, PS4, PS3, PS Vita and Xbox One) were easy to sell, and i found a few good deals on the new stuff. What is the best tv for gaming? Thanks for sharing, how about the refresh rate for the TV? Does the refresh rate matter?